Outside of your avalanche safety gear, this is the one piece of gear that should always be in your pack. 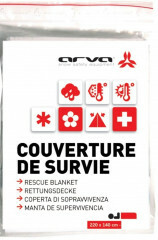 Reflecting a whopping 90% of your infrared heat, weighing in at slightly more than a Tic-Tac (pending Tic-Tac weigh in), and packing to smaller than a deck of cards, the ARVA Rescue Blanket is a necessary adventure-buddy that might just save your adventure-behind. If things didn’t go as planned and you’re being benighted, it’s nice to have the option to curl up in a heat-retaining blanked and wait for dawn. 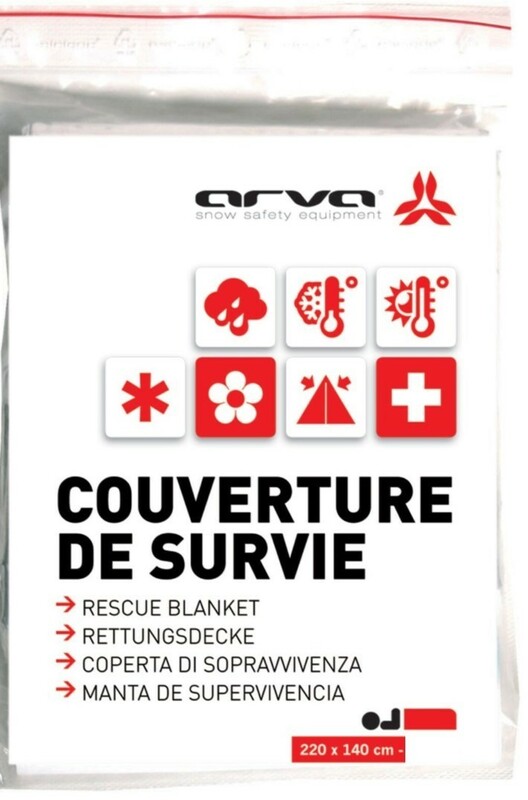 No matter where you adventure, and it would be foolish to travel in the mountains without an ultralight ARVA Rescue Blanket.